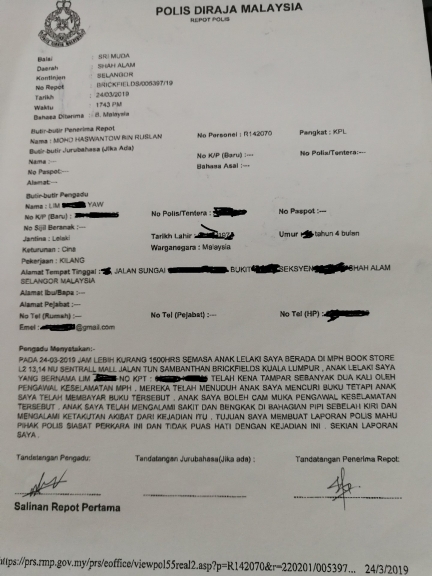 The incident occurred in MPH NU Sentral yesterday, 24 March. In a statement released yesterday, 25 March, MPH Bookstores revealed that the security guard has been suspended pending an investigation of the incident. "Please be rest assured that we take this matter very seriously," the statement read. Sin Chew Daily reported that the boy bought the comic book and left for lunch. Upon returning to the store, he was stopped by a security guard in his 20s and his bag was checked. After finding a comic book in the boy's bag without a receipt, the security guard accused him of stealing and dragged him into a room. 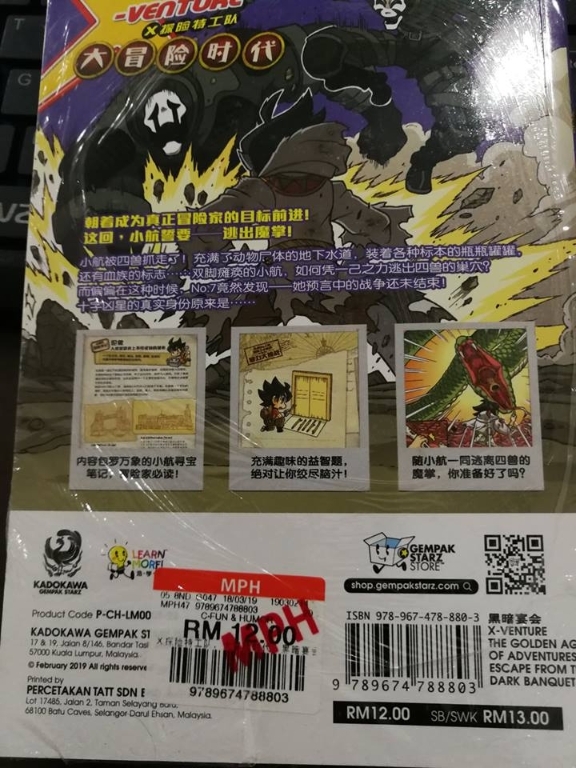 A sticker found on the back of the comic book, indicating that it has been sold. The victim's 44-year-old mother, who dropped him off at the mall, planned to pick him up at around 3pm on Sunday. "My son called and told me to wait at the entrance of the store, and I saw him coming towards me with swollen eyes and cheeks. He then told me he was slapped by a security guard," the mother said, according to Sin Chew Daily. According to his mother, the boy did not fight back while he was slapped by the man. He was released from the room after another security guard found a sticker on the back of the comic book – which indicates that it was sold. The boy alleged that the security guard told him to not tell his parents about the incident. 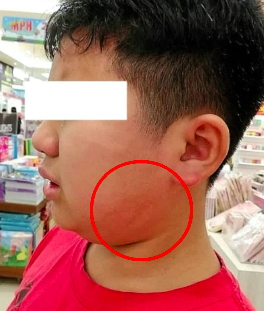 The mother of the boy then demanded explanation from the store's employees, but was unsatisfied with their verbal apology. She also claimed that the security guard did not explain the reason her son was slapped. The boy has also been sent to the Shah Alam Hospital for his injuries. Nonetheless, he reportedly fears going to the bookstore alone following the incident. The woman has since been arrested. Nurul Izzah Faces Backlash For Calling Mahathir A "Former Dictator"
The Permatang Pauh MP was recently interviewed by Singapore daily The Straits Times.